Have you encountered a situation when you have tons of things and you critically need a chest but don't have precious tree for crafting? 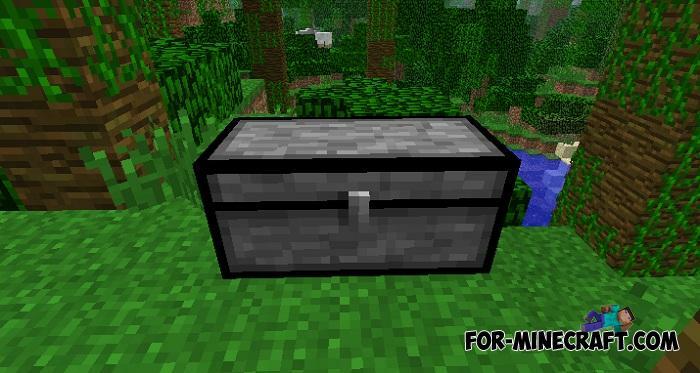 Then just add the Stone Chest Mod to your Minecraft PE and you can craft chests of 5 other materials that can be found both on the ground and underground. 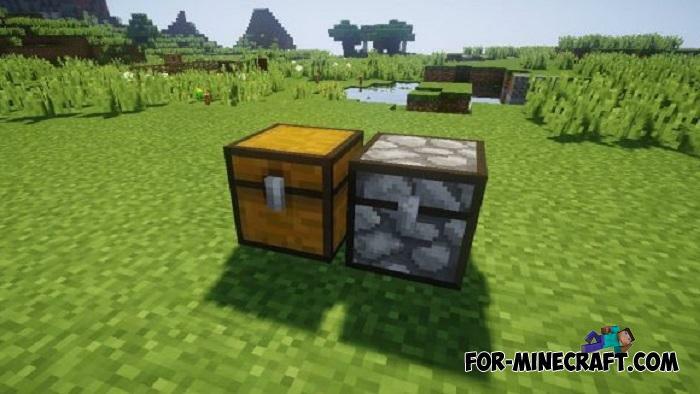 New chests have a small feature: they cannot be made from ordinary blocks, you will need parts for crafting. 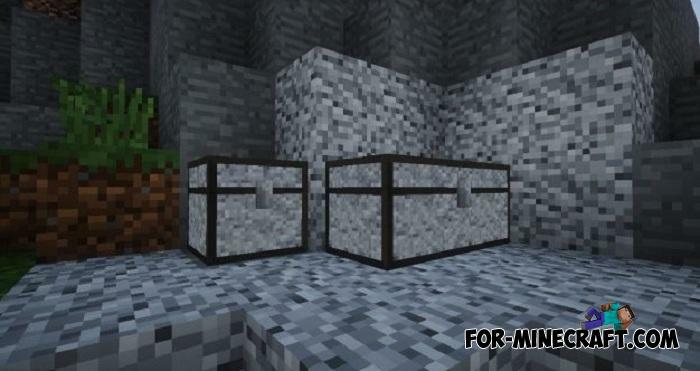 See an example of how to craft a cobblestone chest in MCPE below. First you need cobblestone parts, then put the parts in the slots like vanilla chest recipe. Stone chests do not have any specific bonuses, they perform the same functions as usual. You can put or take things, as well as attach them to mechanisms. On the other hand, the Stone Chest Mod is more like a decorative modification with which you can get themed chests for castles, fortresses, dungeons and more. How to install Stone Chest PE?